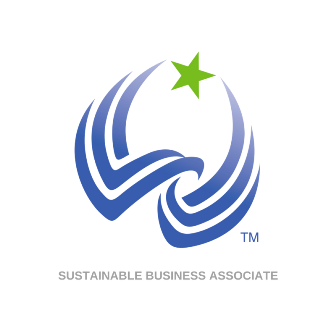 Welcome to the Sustainable Business Associate Certification program. The U.S. Green Chamber of Commerce’s Sustainability Certification Program provides the foundational knowledge to build a successful sustainability platform and implement green practices in your business. The U.S. Green Chamber’s NEW Sustainability Certification Program - Sustainable Business Associate--gives you a complete overview of social, environmental and economic sustainability practices and how to apply them in a business context. The knowledge, resources and level of understanding and skill you will gain in this program can be implemented immediately to improve, manage and develop sustainable processes, technologies, new innovations, and corporate practices that will keep your company on the cutting edge as a market leader. With our certification RECOGNITION program, you can share your new credentials with others by adding our Certification Logo and the acronym "USGCC-SBA" to your email signature, personal letterhead, or business cards. Upon completion of the course, you receive instant recognition on LinkedIn through the certificate “award” for completion of the course. Certified Sustainable Business Associates are also welcome to share it on social media including Twitter, Facebook, Instagram, etc. Beyond the benefits it provides to you, it always inspires others to also become more informed and care about sustainability. In addition to new e-learning courses coming online, you will also have the opportunity to submit your success stories with the U.S Green Chamber of Commerce's business community.